Start planning your tailor-made holiday to Madagascar. Tell us what you want, and we will tailor make your perfect trip. 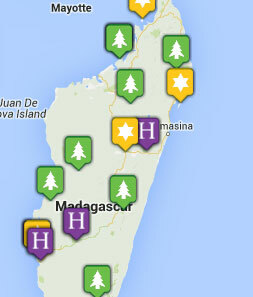  Flight time: Flights from Europe to Madagascar take about 10/11 hours.  Language: Malagasy and French are Madagascar's official languages. English or German is spoken by a municipal workers and guides.A basic working knowledge of French will make communication easier.  Visas: Most nationalities require a Madagascar visa, obtainable from the High Commission in London (or on arrival into International Airport.  Health: Malaria is present in most of the country. No vaccinations are compulsory.